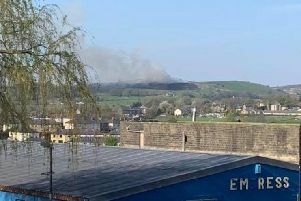 Further plans to redevelop the former Brierfield Mills site have been submitted to Pendle Council. Renamed Northlight, as the mill goes under its major transformation, two new applications have been submitted which include a sports complex, a cyber security facility, an adult learning centre and a micro-brewery. The first application is a conversion and change of use to create the sports facility which would be operated by Burnley FC in the Community. The application includes indoor climbing, a 60 piece gym, two dance and fitness studios, a 3G indoor pitch and could cater for basketball and netball, badminton, cricket, short tennis and volleyball as well as classroom space, a viewing gallery, terrace area and a children’s soft play area with party rooms and a café, external landscaping and a car park. The second application is to convert and change the use of another area of buildings to include the Training 2000 cyber security centre, a Lancashire Adult Learning Centre, the micro-brewery with retail, bar, restaurant and café and managed office space, car park and associated landscaping. A pub and garage is also to be demolished as part of the plan to create more car parking space. Submitted by Pearl Brierfield Mill Ltd, the applications are set to be considered by Pendle Council’s Brierfield and Reedley Committee with a target date of February 2nd. There are also two associated listed building consent applications which will be dealt with by a Pendle Council planning officer. These include the demolition of bridge link, a gatehouse and balustrade, installation of gates to the entrance, and the repair to the shed roof and stone surrounds and replacement of external doors and internal walls and doors. An application to create a hotel at the former Smith and Nephew mill has already been approved by Pendle Council in February of last year.